Hey friends! Anyone else love cuddling up with a good book when it’s so cold outside? Yes! Lately I have been reading and listening to more books than usual because I must feel the need to catch up from not reading at all for a while! Her books are easy reads. The only thing I despise about her writing is how redundant she is with sentence usage. This book had me in it to win it for the first half of the story but the second half I started losing interest. It is the story of two lovers in two different time periods. Here is the synopsis (no spoilers!) 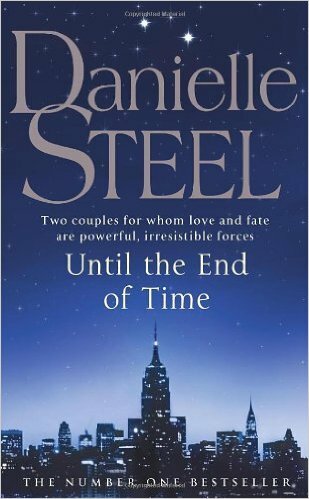 from Danielle Steel’s website. I give this book 2.5 stars. I happened to have several Audible credits so I used them this month. This book was the first one I listened to for January. Like Steel, Pagan is redundant in sentences. I cannot stand it people! The story moved along well and I had thought it would end differently so I liked the little twist to what I thought would happen. Basically our main character is diagnosed with cancer but in the midst of the diagnosis she learns some devastating news about her husband and takes one heck of a trip that leads her some happiness. Check this from Good Reads for more information. I give this book 3.5 stars. I pulled another book from the box (as mentioned above.) This one I had heard good things about. Three chapters in I put this book down and basically forgot about it. Yes, I will give it another shot but if it doesn’t speed up I will drop it like it’s freezing cold. You can read this blurb from Steel’s site. If anyone has read this and thinks I should continue – comment please. Reese Witherspoon loved this book as did my sweet little jambalaya making Laura. I have been listening to this one Audible and am hooked. I figure I will have it read by the end of the week. This is a psychological thriller and the start had me going, “Um really?” but I kept listening and I’m in it to win it. I suggest this bad girl good girl wacko girl book for sure. It reminds me of my beloved Lianne Moriarity books (Big Little Lies author.) Here’s the blurb. I read this sweet story to both my babies at different times in their babydom. I love the story (basically if I were a bull it would be me.) On Monday I took the kids to see the movie. The book (and it’s whole 5 minutes) beats the movie. Read this to your kids. And that is that! I’m linked up today! Check out the other bloggers for their current reads! Me me, I love cuddling in the chilliness with a good book! My mama always read DS, now she loves James Patterson. Ok, I’m convinced, I must read The Last Mrs. Parrish! Love a good thriller! Reese has her own book club?! Sometimes I look under a rock. I need to mark a few of these onto my “look for this list”. Most of my reading is done over the summer, but I like to have a list ready too. I love audio books for work and workouts! I love curling up with a good book anytime!! I need to add a few of these to my reading list! I think you would like The Last Mrs. Parrish! Love audiobooks lately too!! I am adding Mrs. Parish to my list!!! I liked Life and other near death experiences. 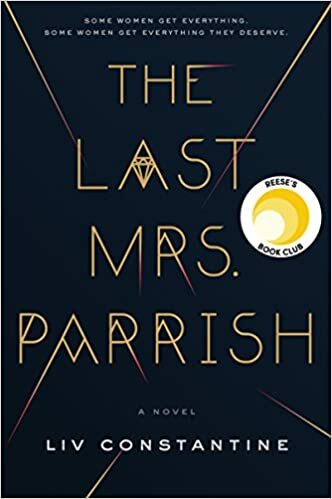 I just finished Tips for Living which felt like that one, but with a bit more oomph if you will (a murder mystery in addition to the tragedy leads to love) I need to check out The Last Mrs. Parrish, it has been on my list!